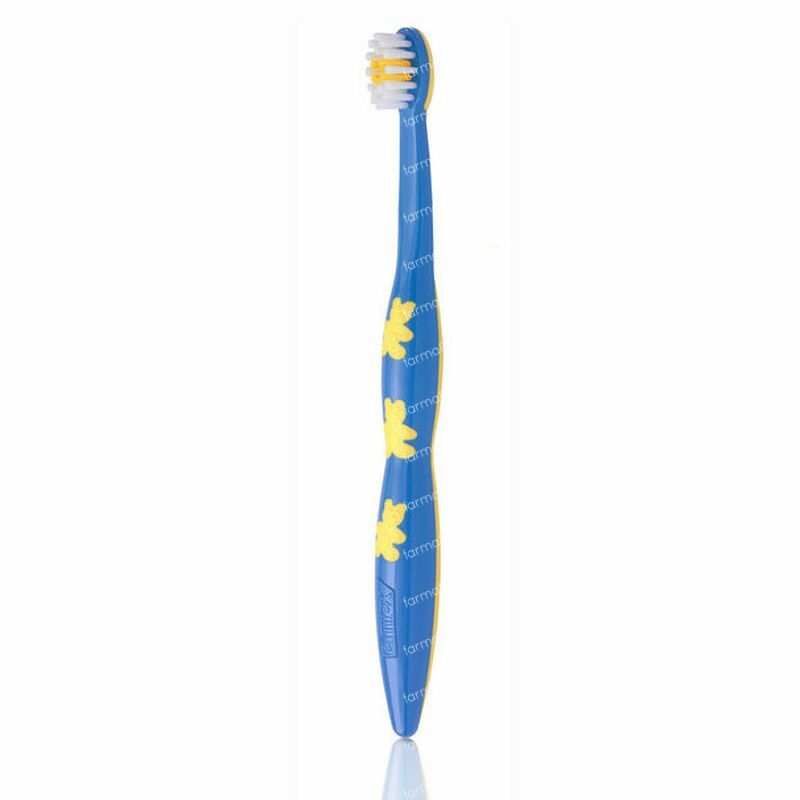 Elmex Learning Toothbrush Reduced Price 1 item order online. This Elmex product is extremely suitable for children as soon as the first teeth break through, until the age of 3. The Ergonomic handle - designed in commaboration with the EPF from Zurich - makes it the best toothbrush to put in the hand of a child. It also makes it easier for parents to hand their child the toothbrush. The white hairs display how much toothpaste should be used (the size of a pea). The small brush head has rounded and smooth hair for a deep and gentle cleansing of the teeth. In combination with the Elmex Children's Toothpaste, it is the ideal way to keep their teeth strong and healthy.